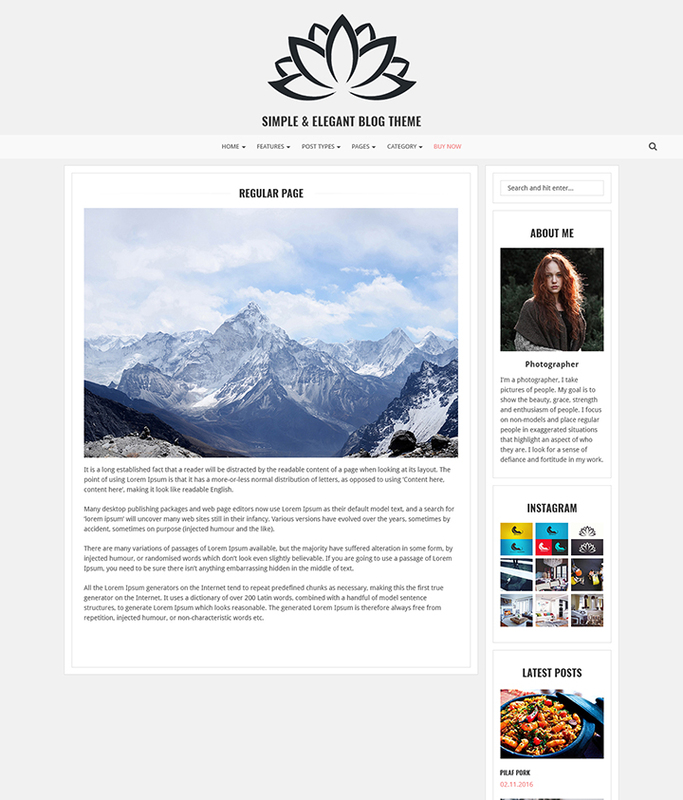 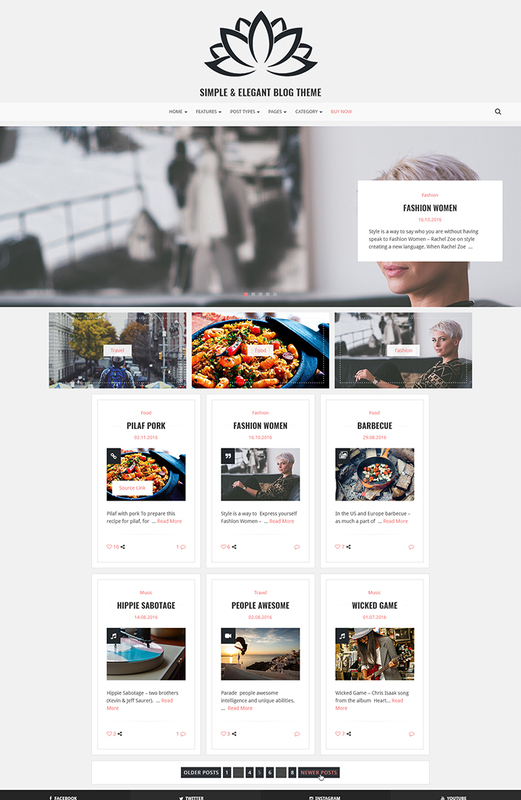 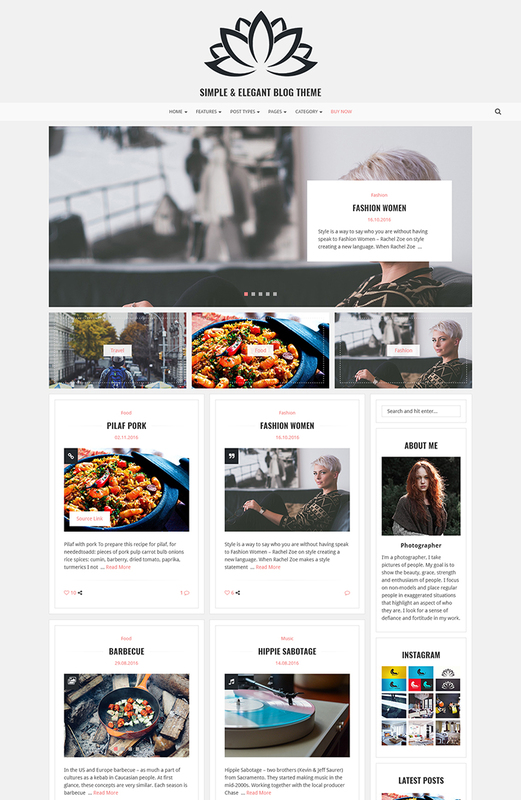 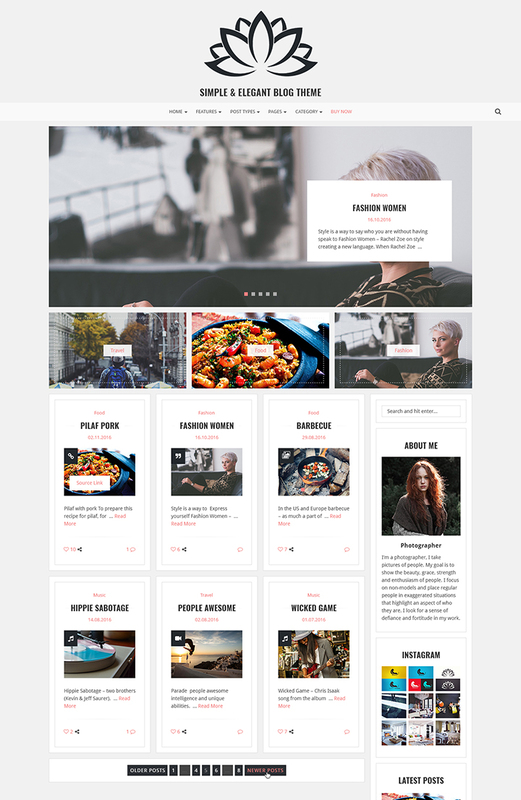 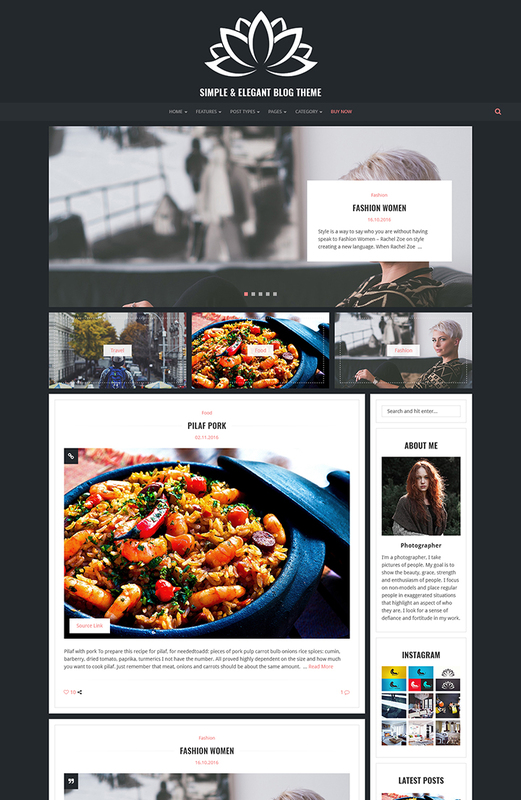 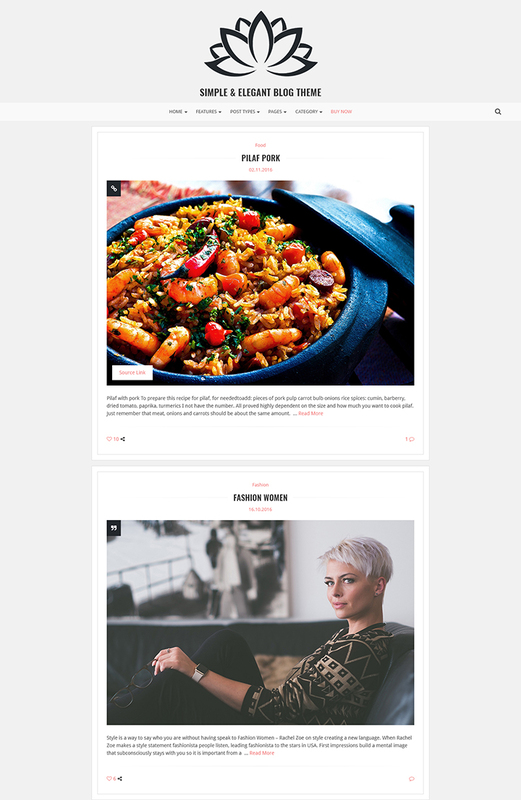 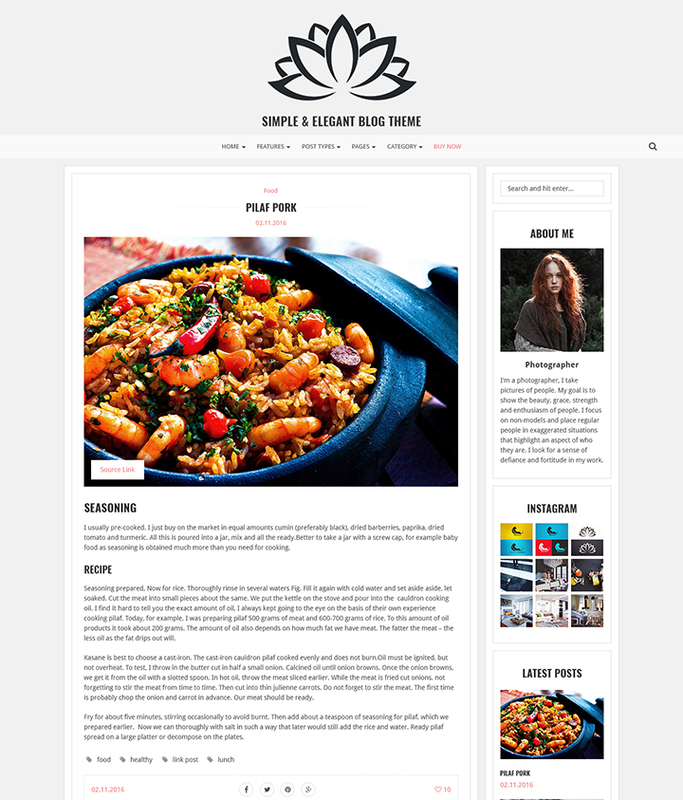 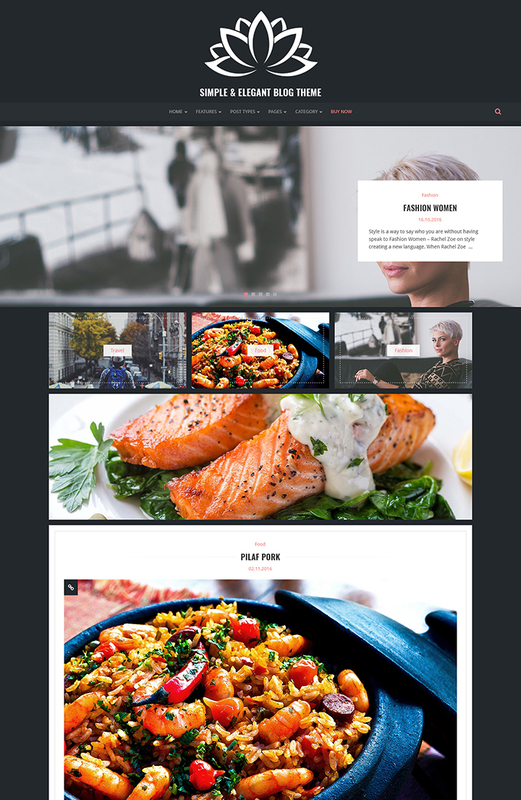 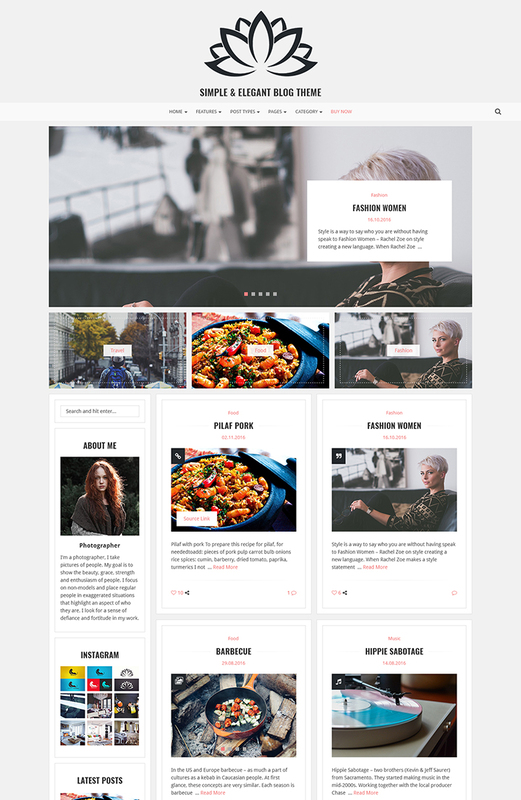 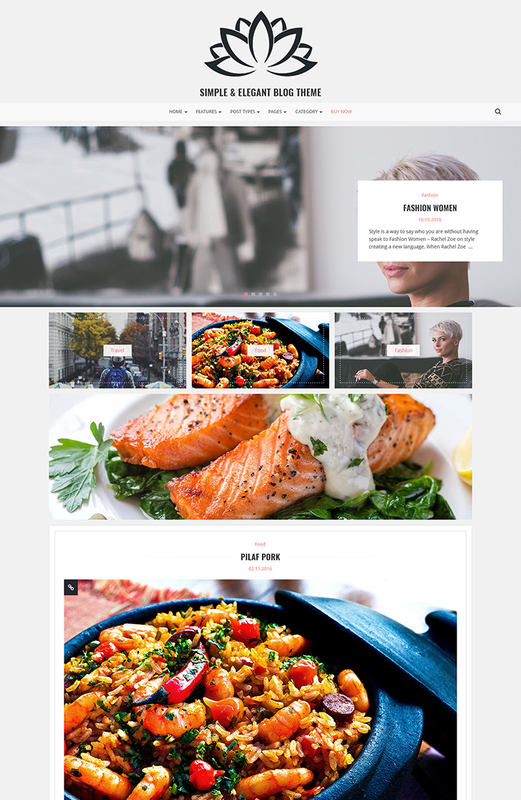 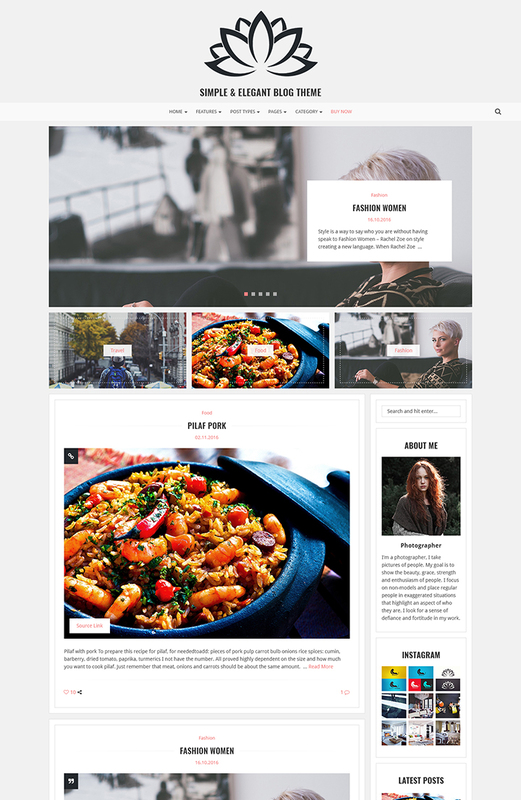 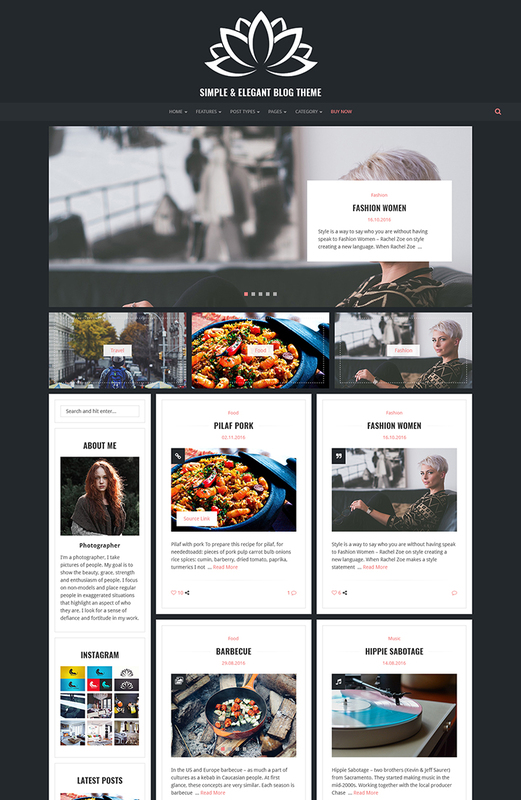 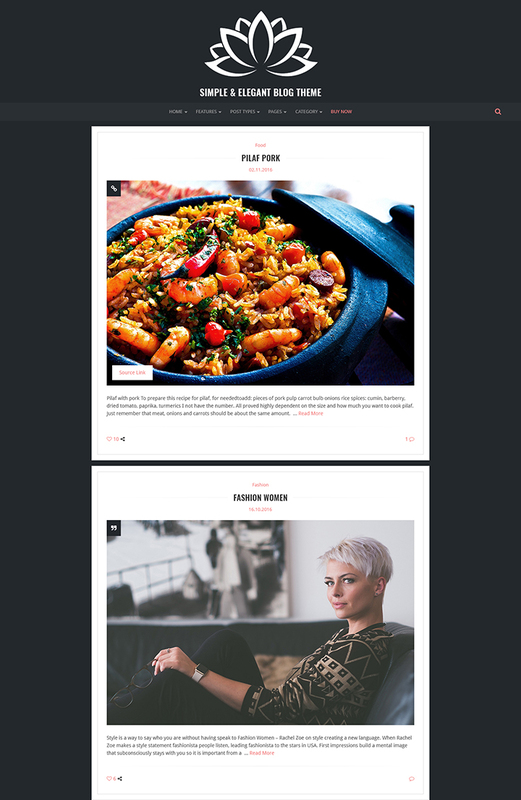 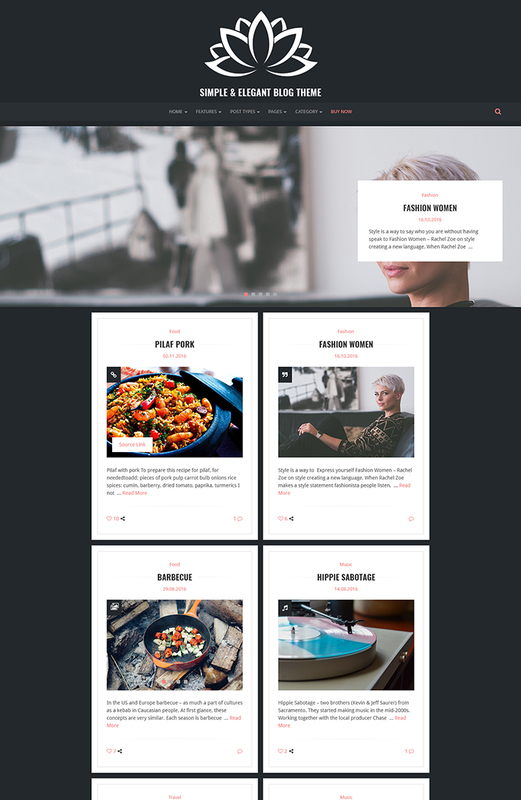 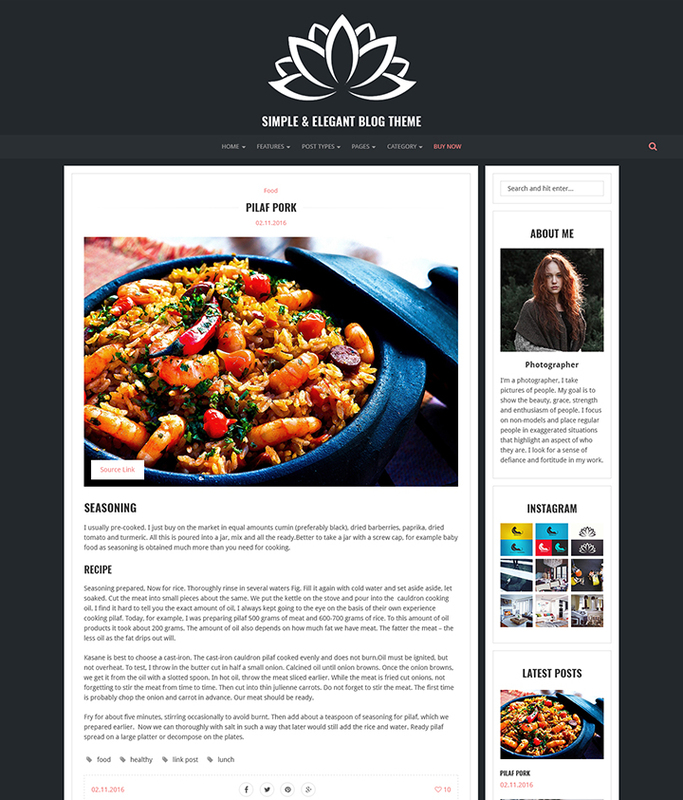 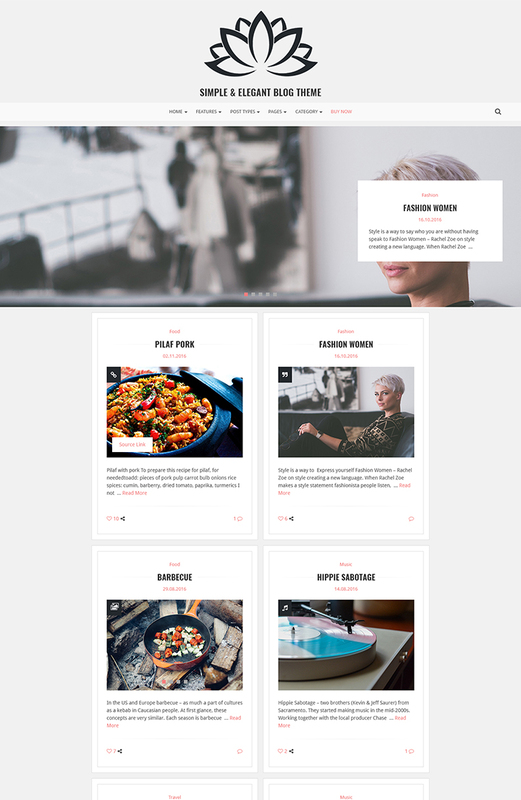 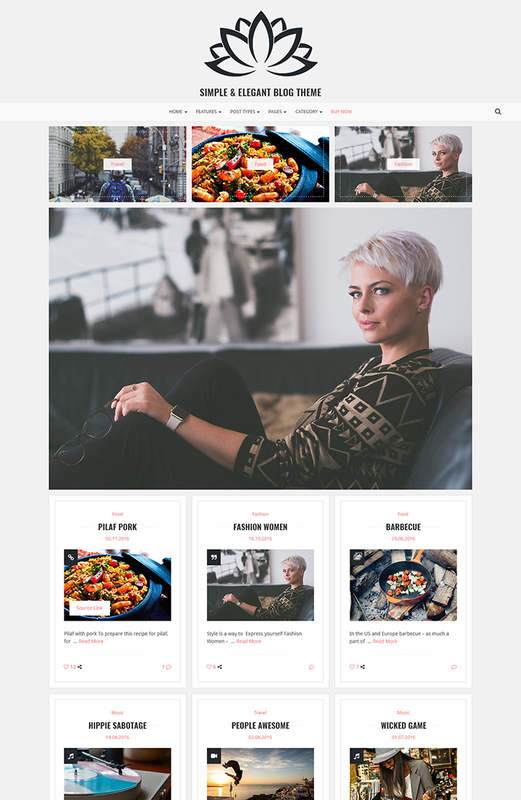 Lotos is a versatile and powerful multipurpose WordPress blog theme perfect for any personal blog. 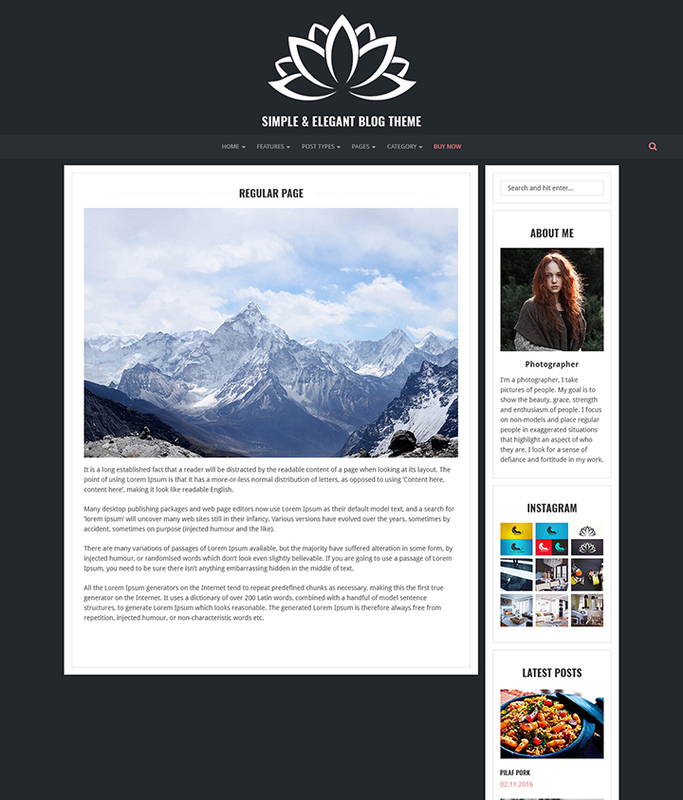 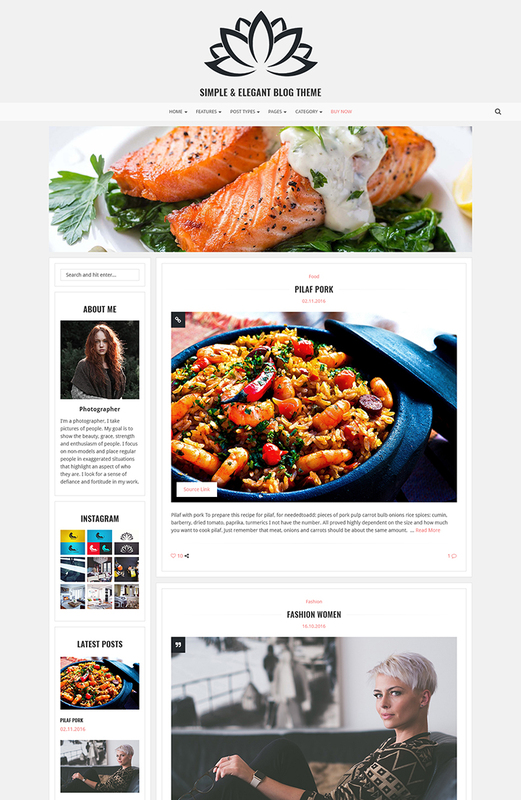 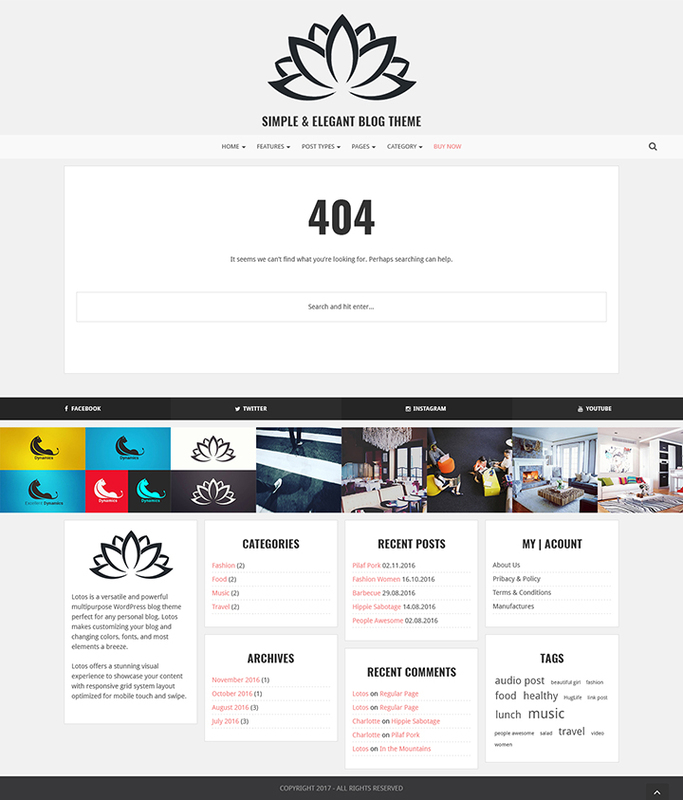 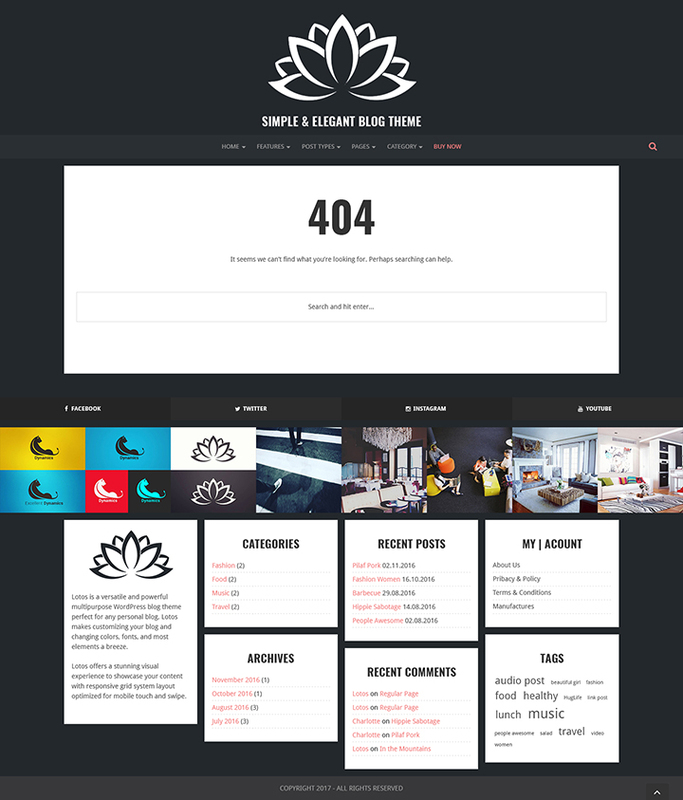 Lotos makes customizing your blog and changing colors, fonts, and most elements a breeze. 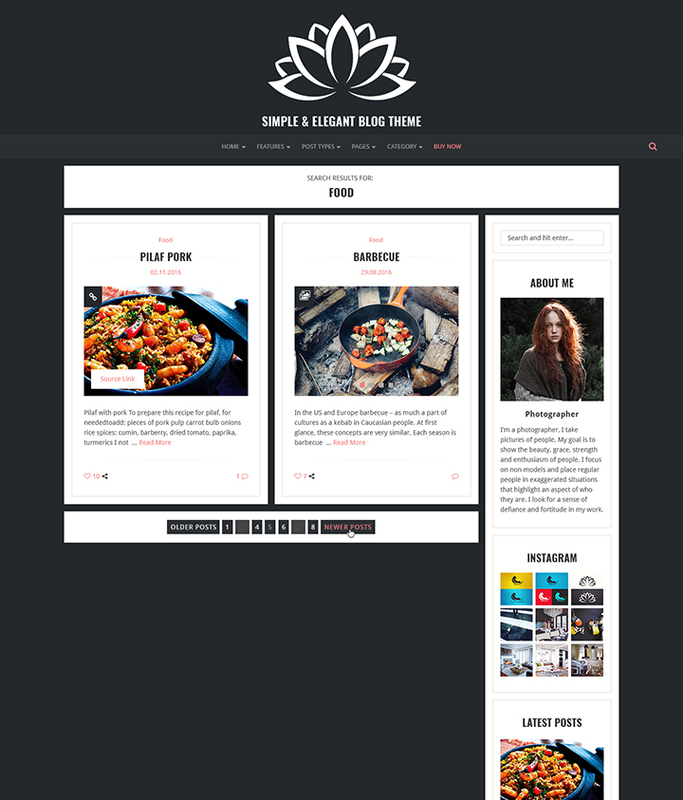 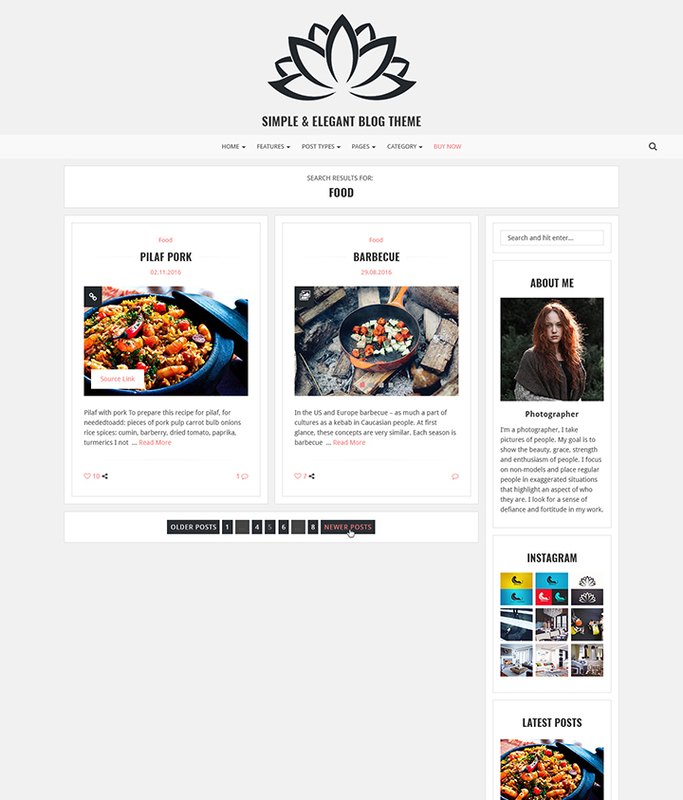 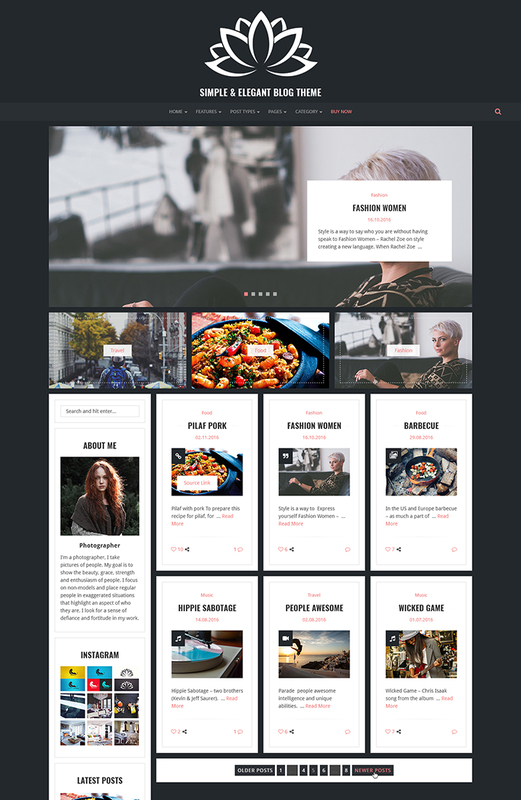 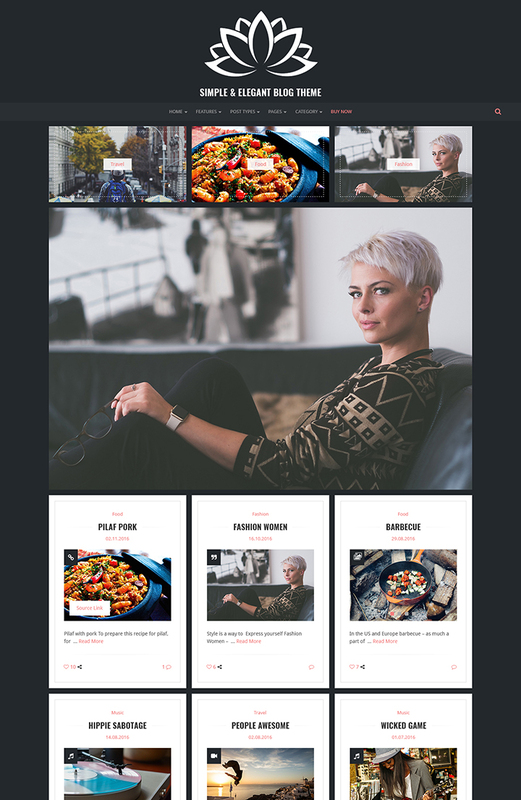 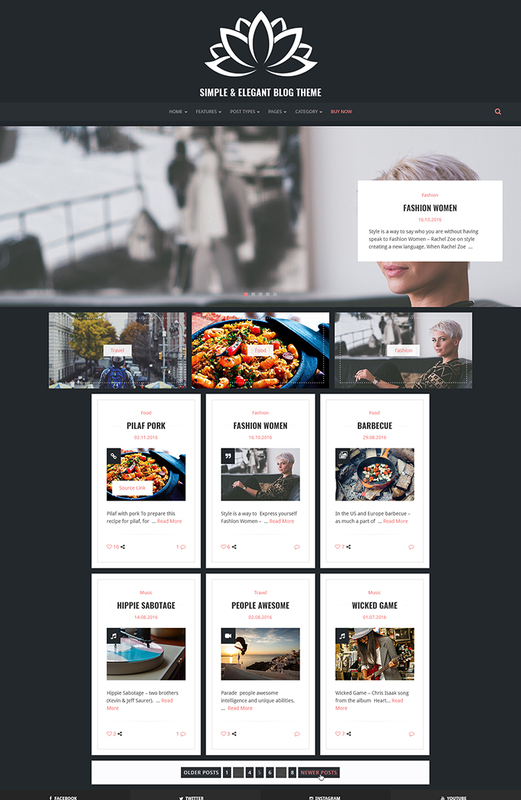 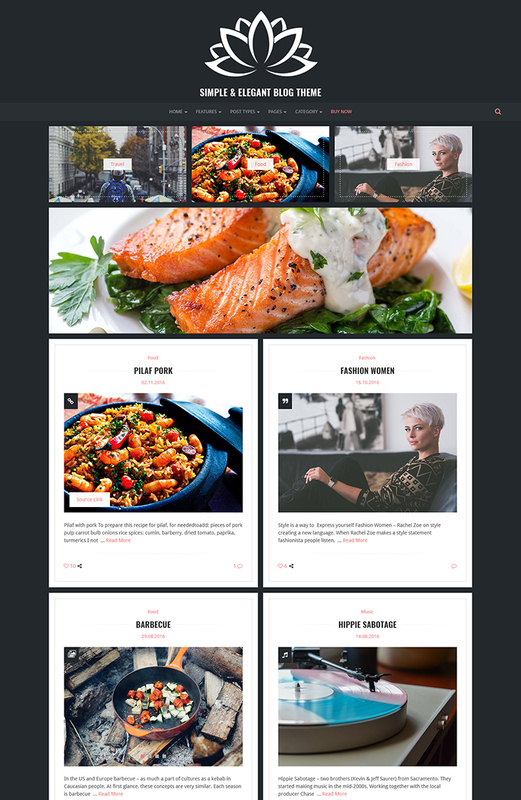 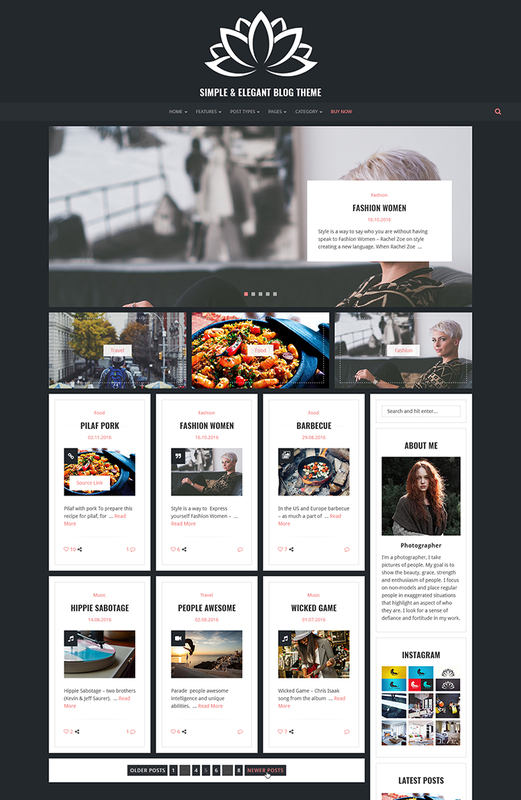 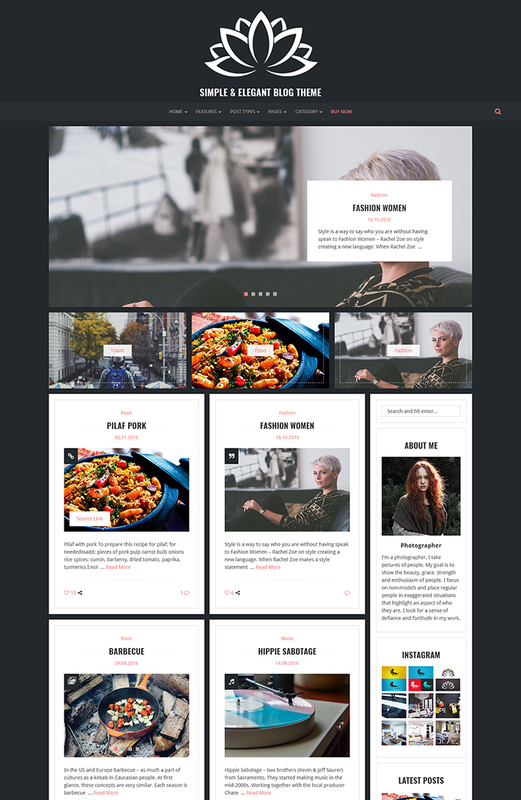 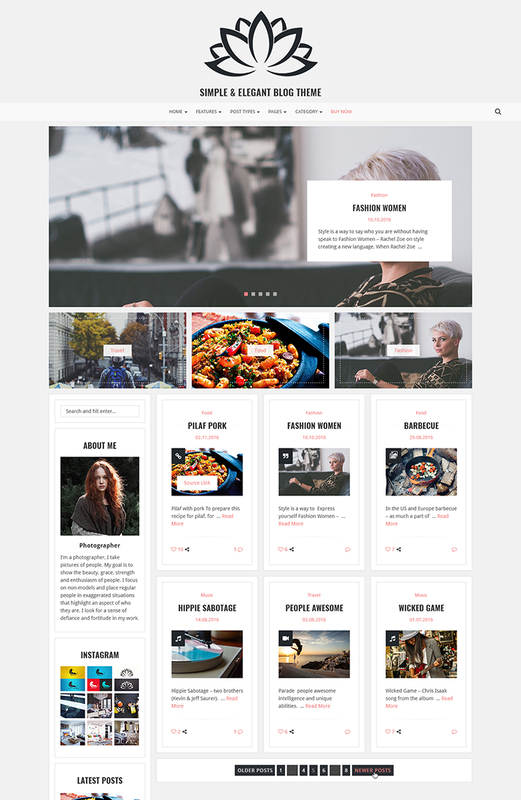 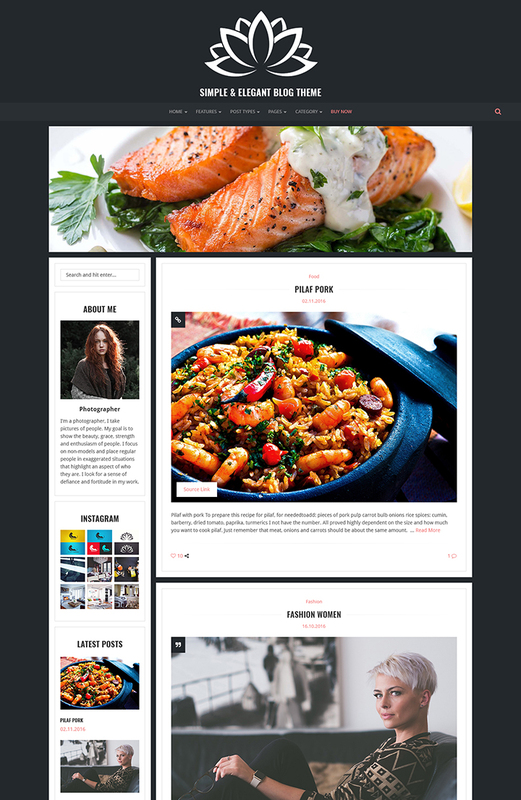 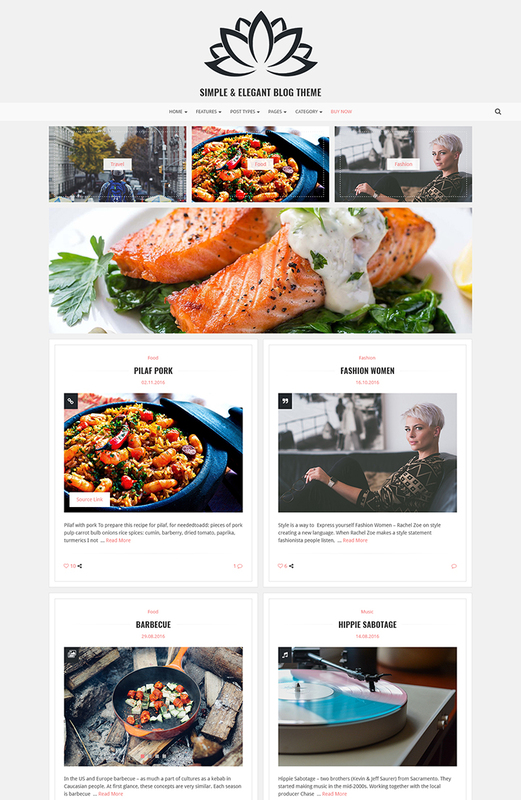 Lotos offers a stunning visual experience to showcase your content with responsive grid system layout optimized for mobile touch and swipe.Perfect for fashion blogs, lifestyle blogs, travel blogs, food blogs, craft, tech, creative, photography., etc.